Ocean freight rates are determined by many different variables. Most businesses on a global scale rely on ocean freight to get their products to international markets. But third party logistics providers, freight forwarders, and others in the logistics field understand the variable levies which are imposed on international trade shipments. As a business with a significant stake in the process, understanding how ocean freight rates are determined can have a huge impact on the final cost of your products. Here are five big factors that influence ocean freight rates. Fuel cost is a factor for all forms of freight shipping – ground, air, and ocean freight. Bunker fuel is closely related to the cost of oil, so when the price of oil goes up, the price of bunker fuel goes up as well, and consequently ocean freight rates increase. 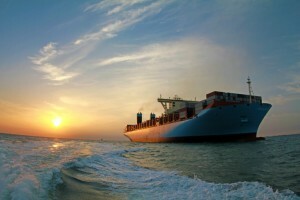 Seasons can play a major role in determining ocean freight rates for many goods. During high seasons, the changes in supply and demand can make some goods more expensive to ship. And inclement weather can dock smaller ships and cause a temporary fluctuation in shipping rates. When goods are shipped on ocean tankers, terminal fees are charged at the ports of departure and arrival. In addition, port authorities can levy additional service charges on ships. These can be reflected in ocean freight rates. With an international market, it’s reasonable to expect currency fluctuations to affect the cost of shipping goods overseas. The U.S. dollar is the standard for international transactions, but the daily movement of the money markets can influence ocean freight rates. In order to get the best possible rates, it is preferable to fill shipping containers to capacity. The shipper is expected to cover the cost of a container, even if the quantity of goods shipped doesn’t fill it. Trust AFP Global Logistics for all of your ocean freight needs! We can help you make sense of the process and get you the best ocean freight rates possible. This entry was posted on Thursday, March 23rd, 2017	at 12:04 pm	and is filed under Business Basics, International Shipping, Shipping Methods	. You can follow any responses to this entry through the RSS 2.0	feed. Both comments and pings are currently closed.